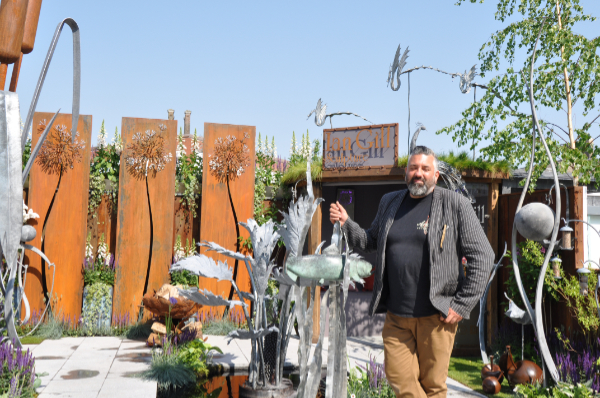 Ian Gill AWCB, award winning metal sculptor and artistic blacksmith has been designing and creating metal sculptures for almost two decades. 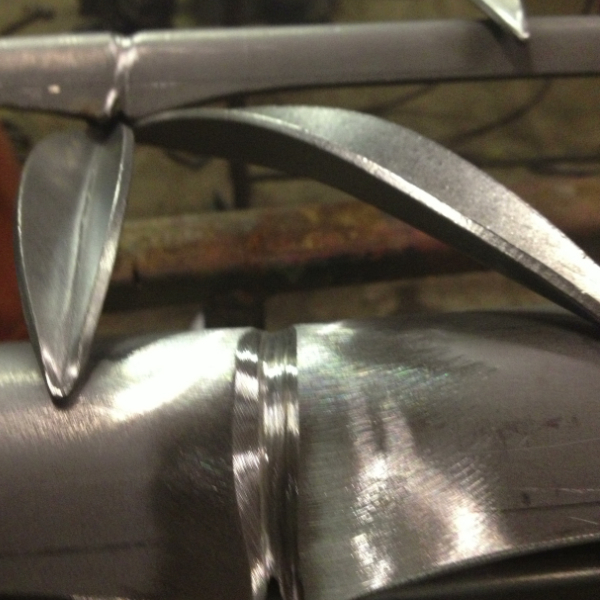 At Ian Gill Sculpture, we use a combination of traditional blacksmithing and modern industrial techniques, working with heavy gauge materials that can be hot forged. 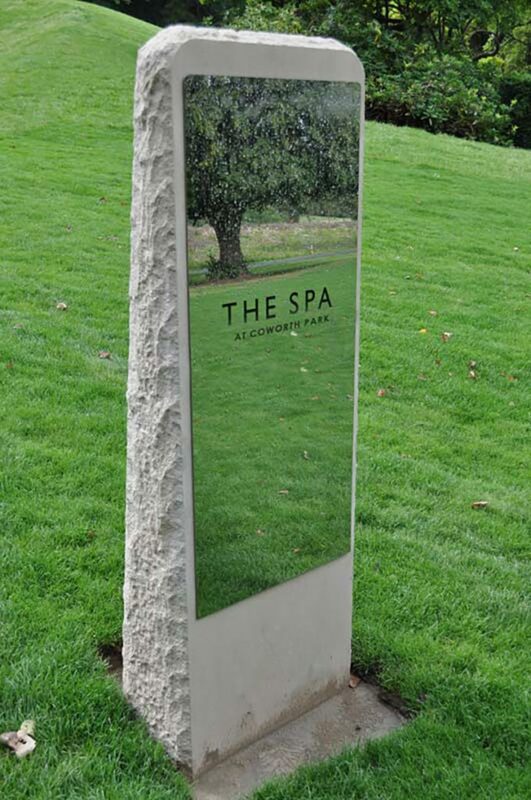 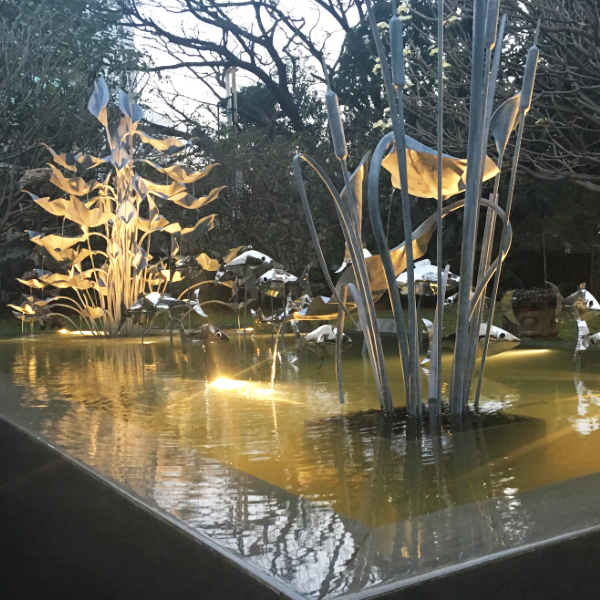 Ian Gill Sculpture has designed and created a many public and privately commissioned sculptures, some of which can be seen in locations such as Hampton Court, Kings Road London, and Coworth Park Hotel. 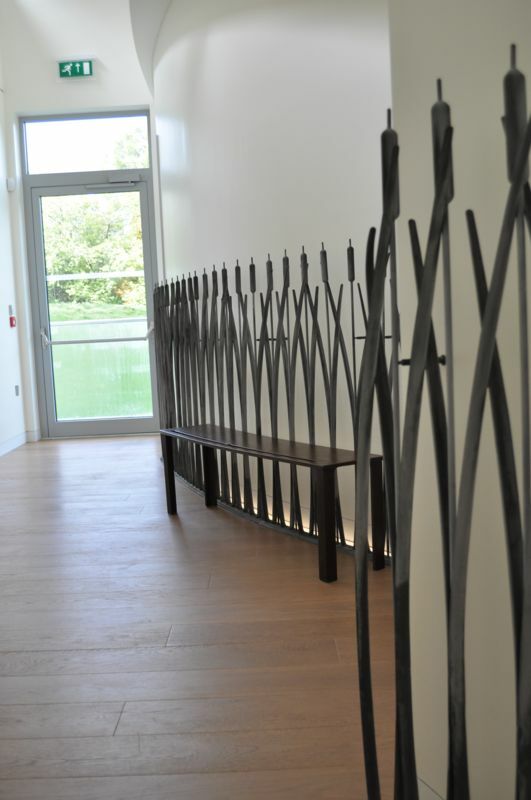 Ian has exhibited widely and his work is held extensively in collections throughout the UK and Europe, as well as being sold through Sothebys. 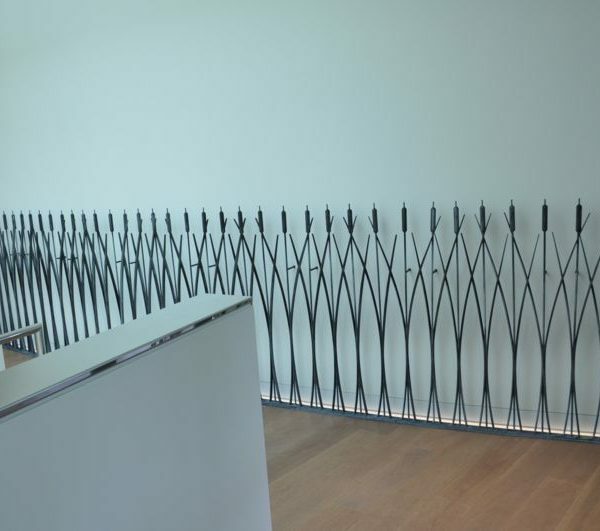 Ian’s work was selected to represent Sculptors from the UK as part of the 2016 metal symposium held the Czech Republic. 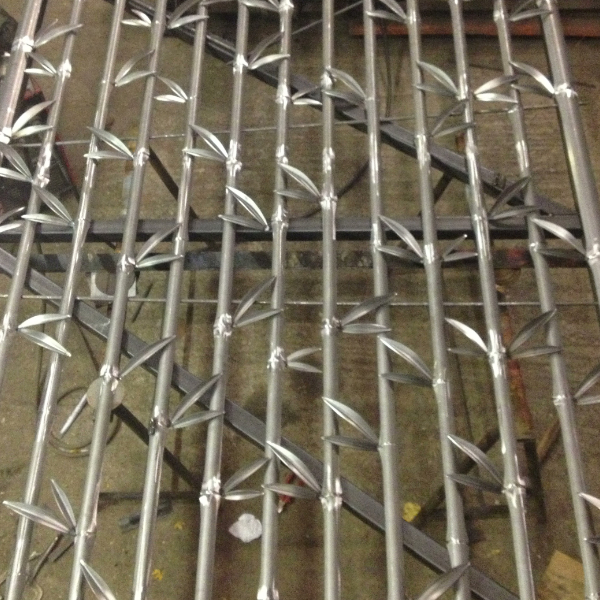 Ian will be producing his chosen design to be permanently installed in the city centre of Mlada’ Boleslav. As well as the larger commissioned sculptures, Ian has also designed and created a range of high quality garden and courtyard sculptures and many to other unique works of art that are available to buy in our on-line shop. 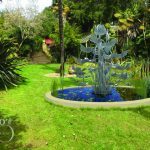 So if you are looking for an unusual gift or would like to add an interesting focal point to your garden, then browse our range of Garden Sculptures, Water Sculptures, metal Bird Baths and feeders, Chimes and other works of art. 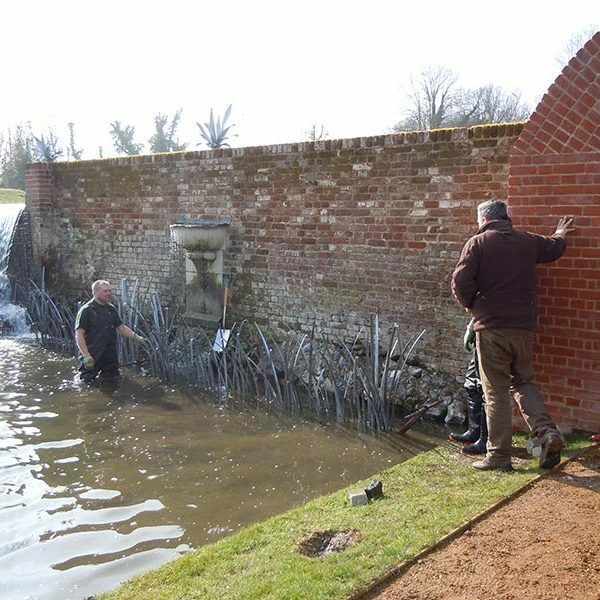 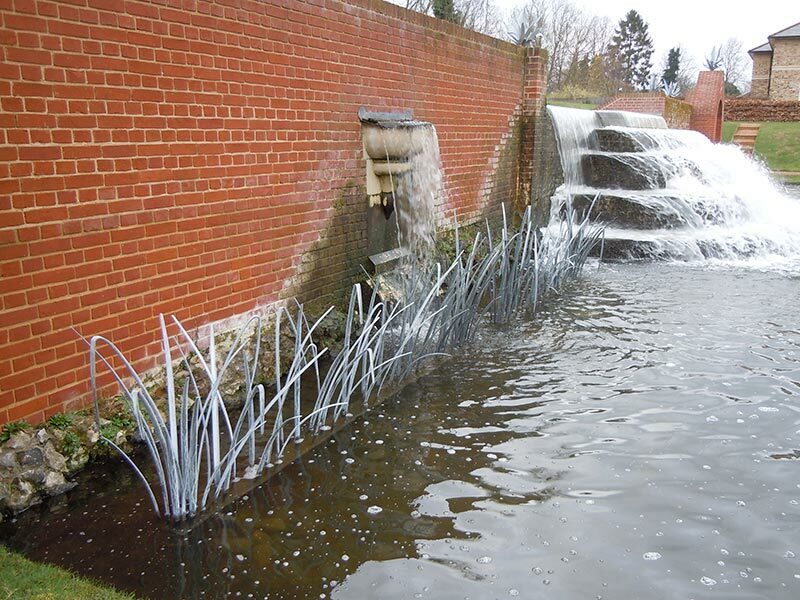 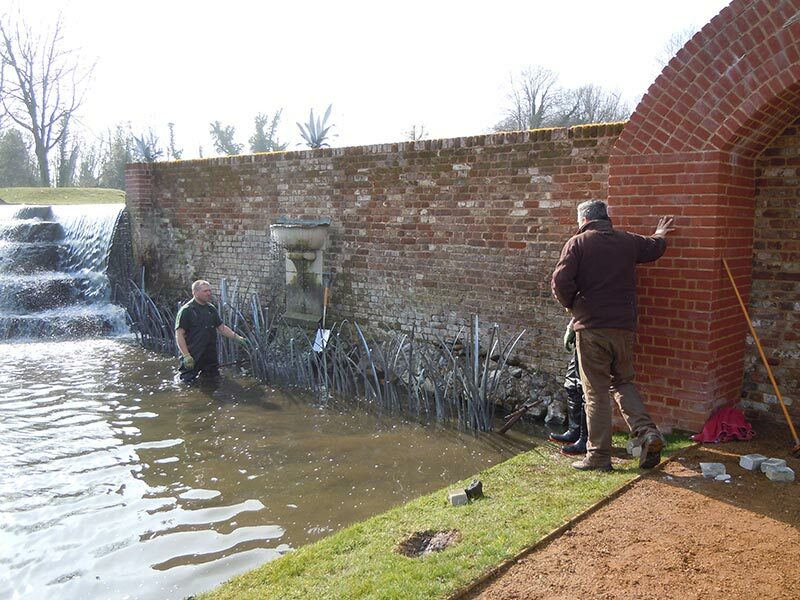 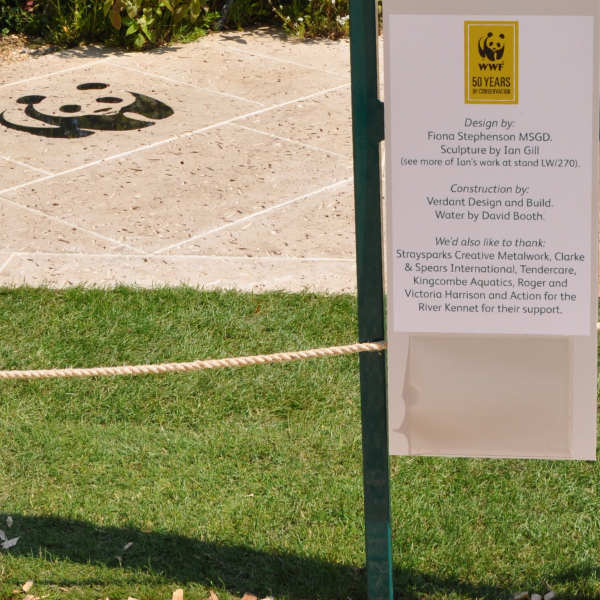 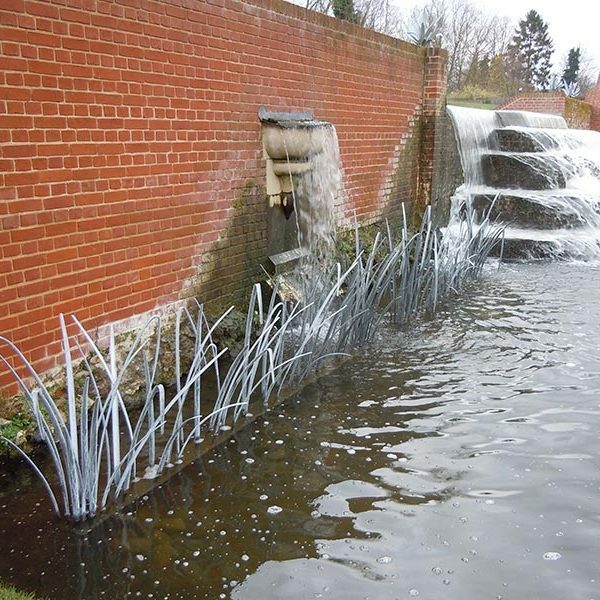 The commission was to construct 18 meter row of organic reeds for the base of the waterfall in the reconstructed water gardens. 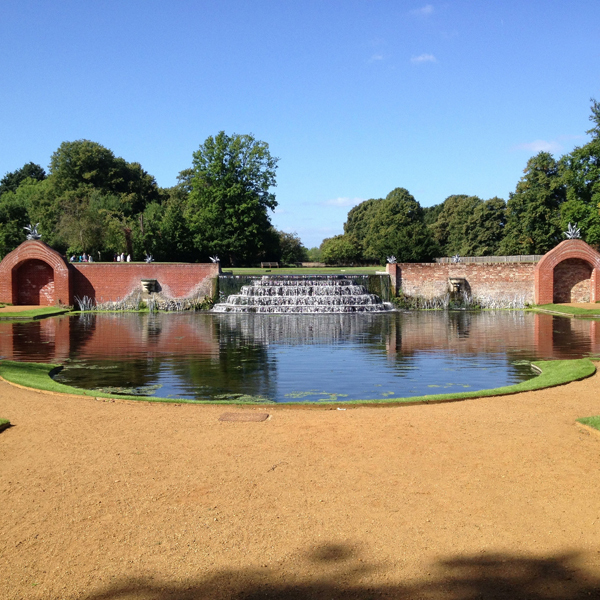 The design was based on a painting in Royal Collection at Hampton Court Palace called “The Cascade at Bushy Park”. 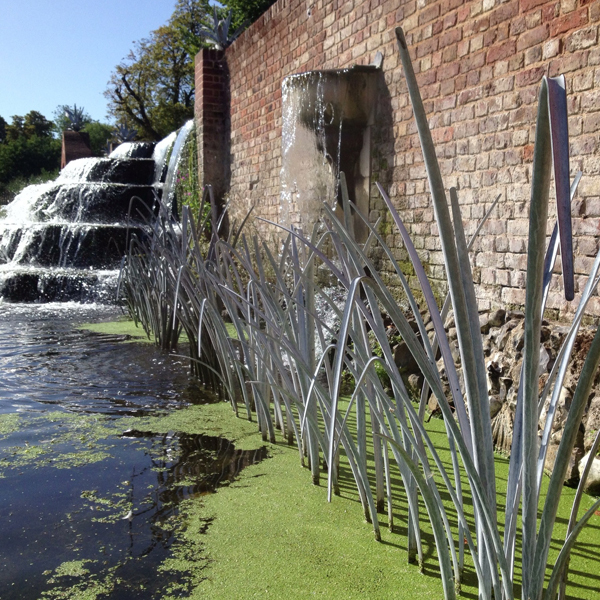 We were asked to design and construct a series of metal sculptures to celebrate 50 years of this organisation. 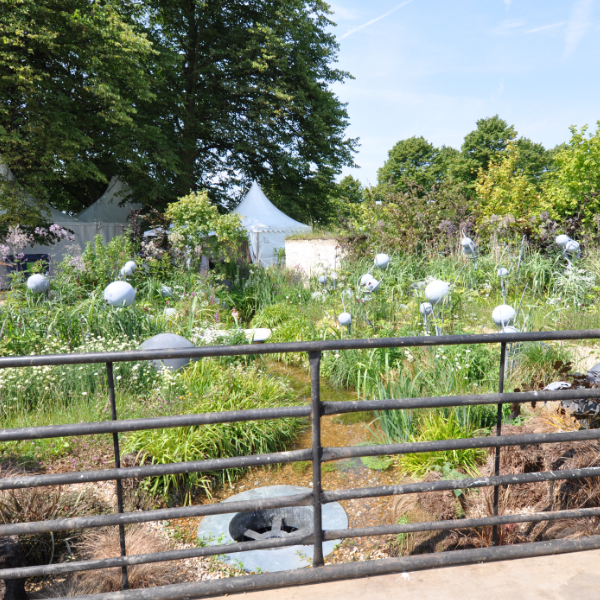 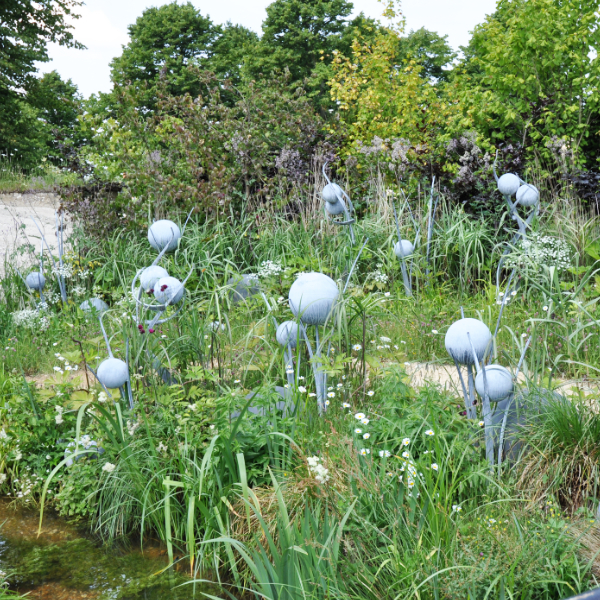 These sculptures were added to a show garden at RHS Hampton Court Palace Flower Show, which was awarded a silver guilt medal. 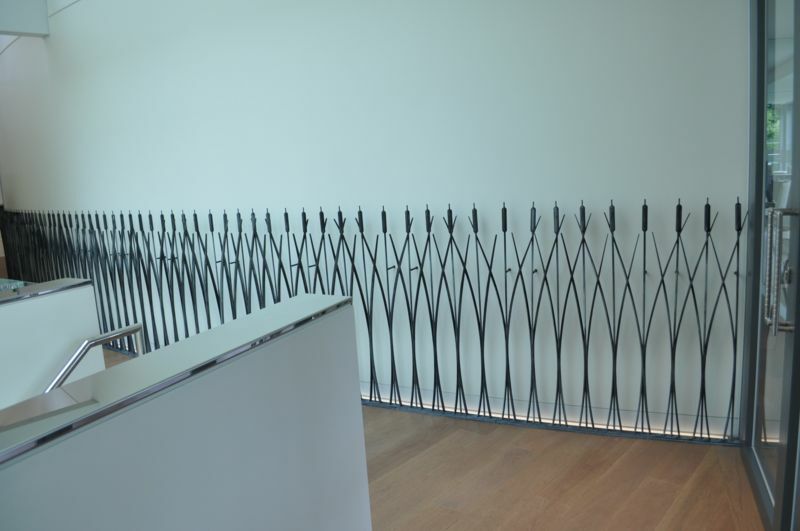 This commission was to design and construct a 54 meter wall sculpture starting in one building, running through a corridor, through a glass panel and finishing in the grounds. 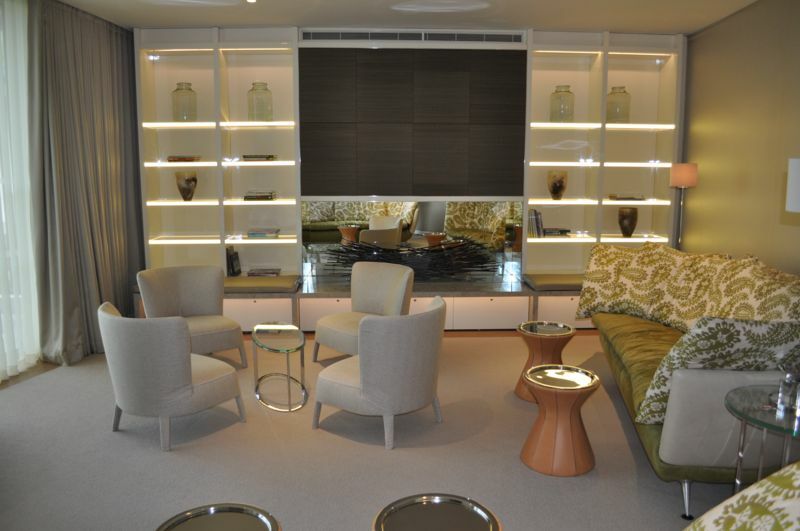 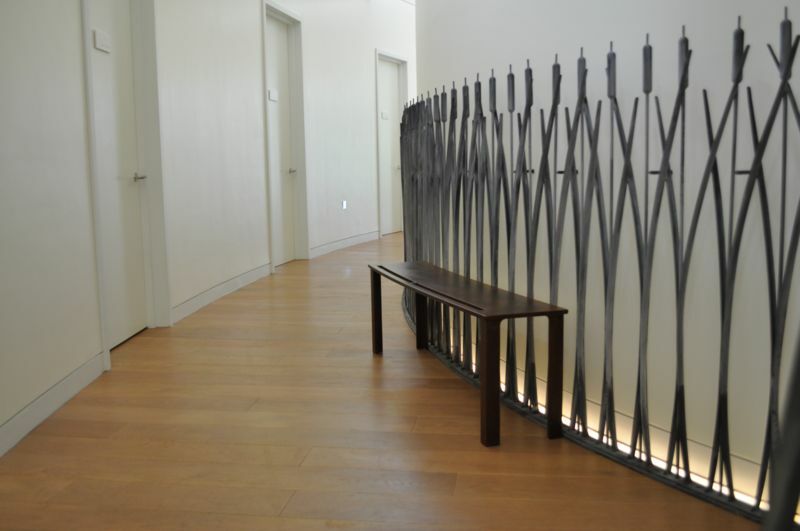 This project also included 15 smaller sculptures for the master bedrooms. 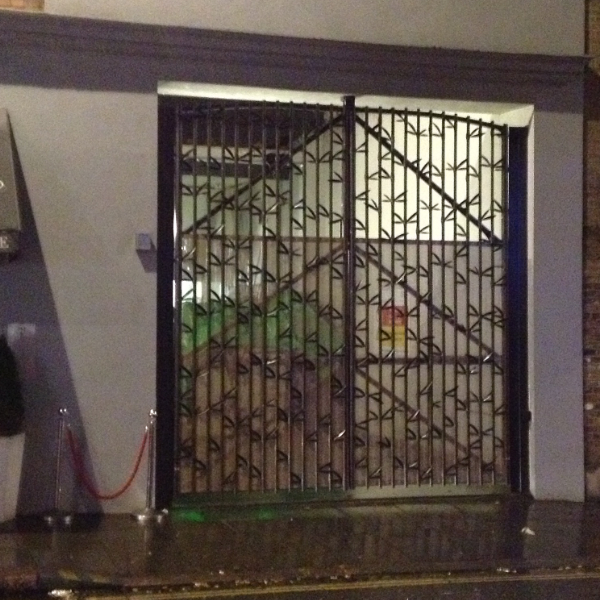 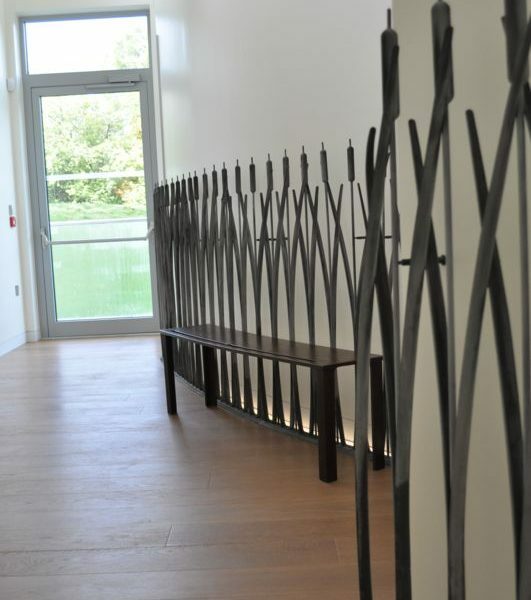 This commission was for the Sloan Stanley Estate, to design and construct a set of metal bamboo inspired gates 4 meters wide by 5 meters tall. 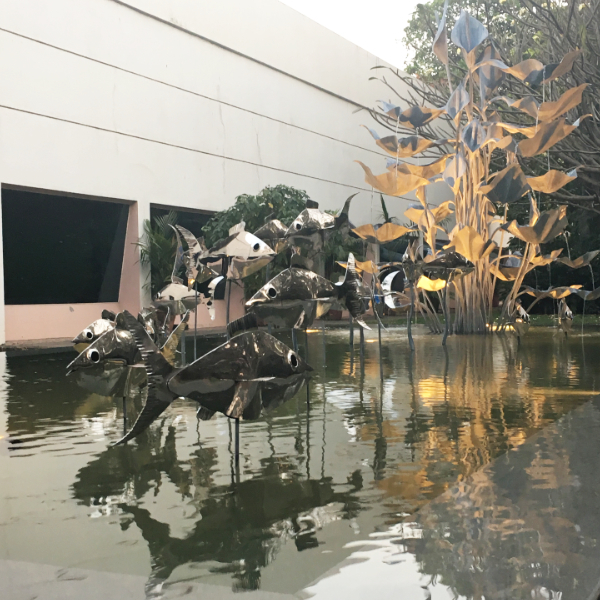 The commission was to design a sculpture of a group of girls playing happily together. 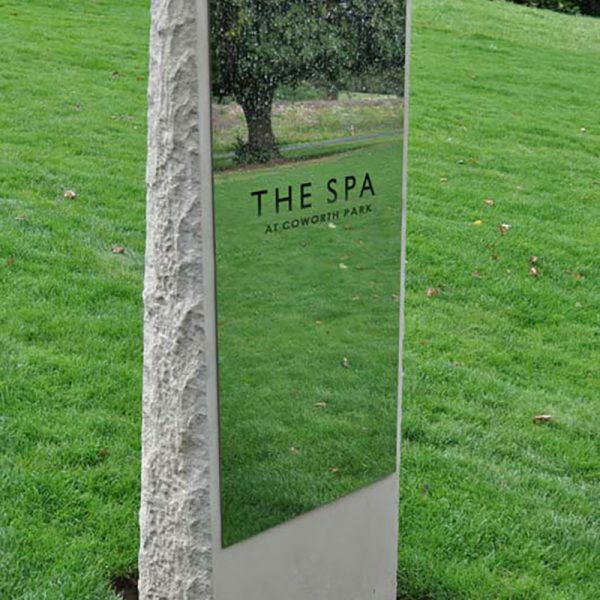 This was to celebrate 125 years of this institution. 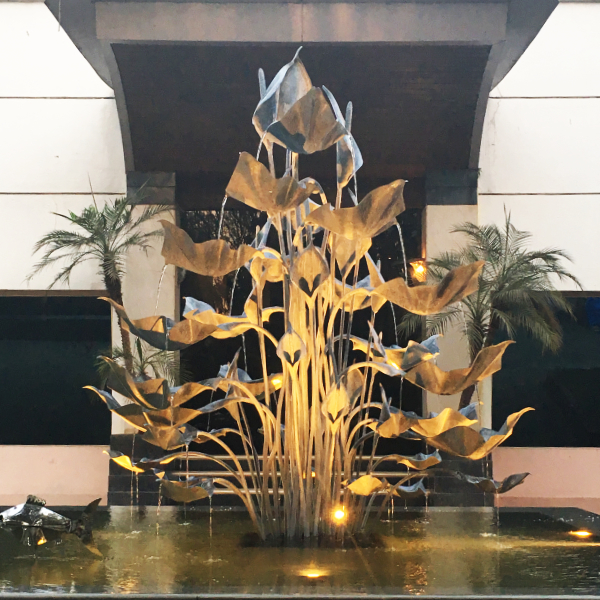 The finished sculpture was named Joyfulness. 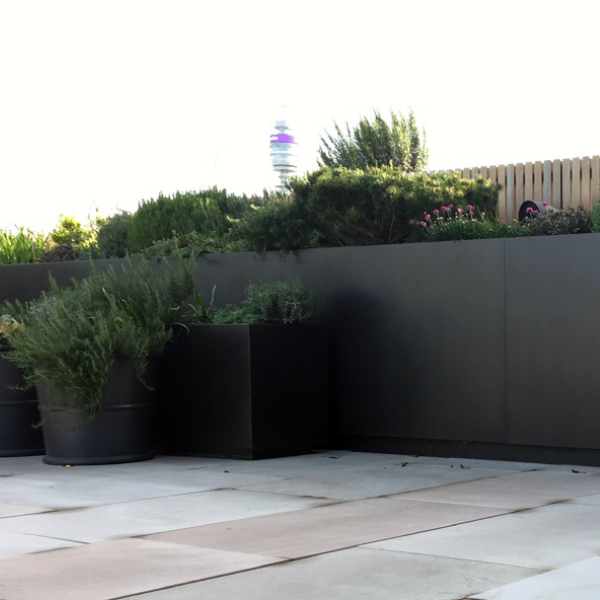 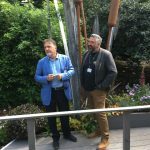 We were chosen from the UK to design and construct a large corten steel sculpture. 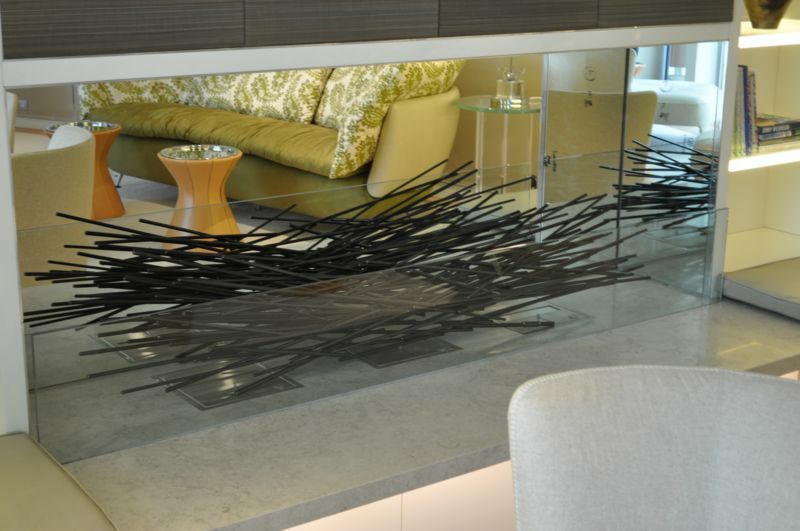 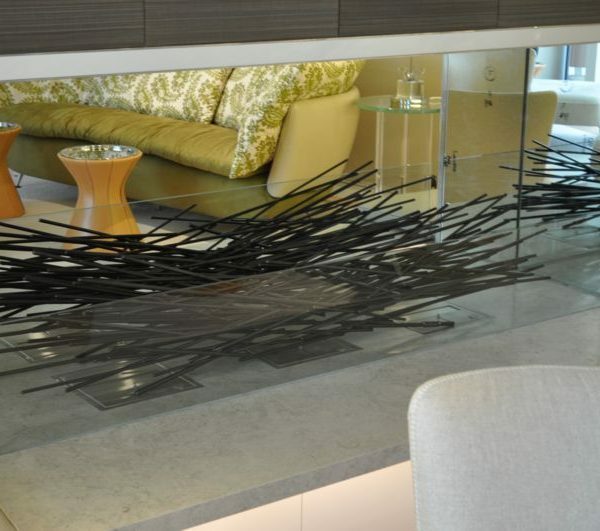 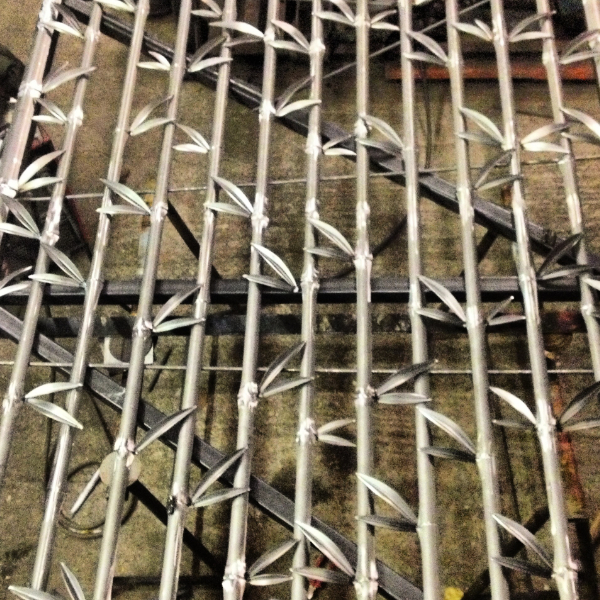 The piece was called “Out of Balance” and was part of the metal art symposium project. 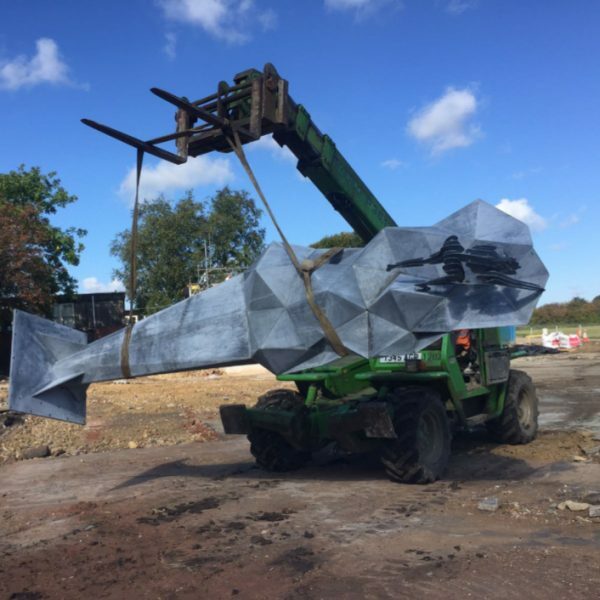 The finished sculpture is 4 meters tall and weighs in at 1500kg. 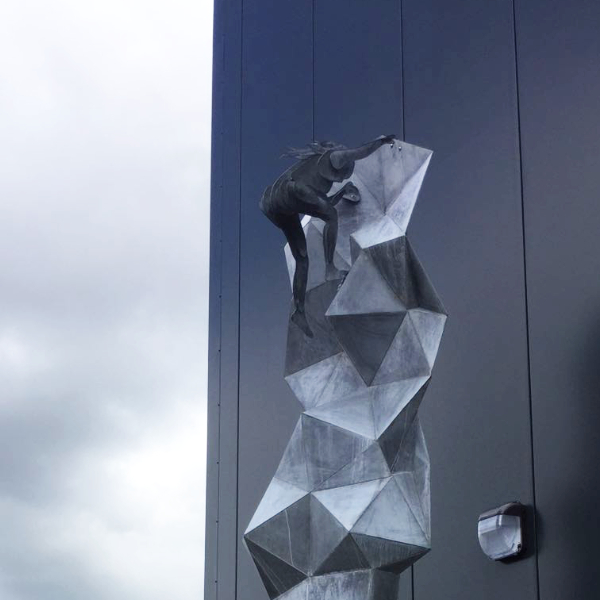 This commission was to design and construct a climbing sculpture to go in front of their new public sports centre complex. 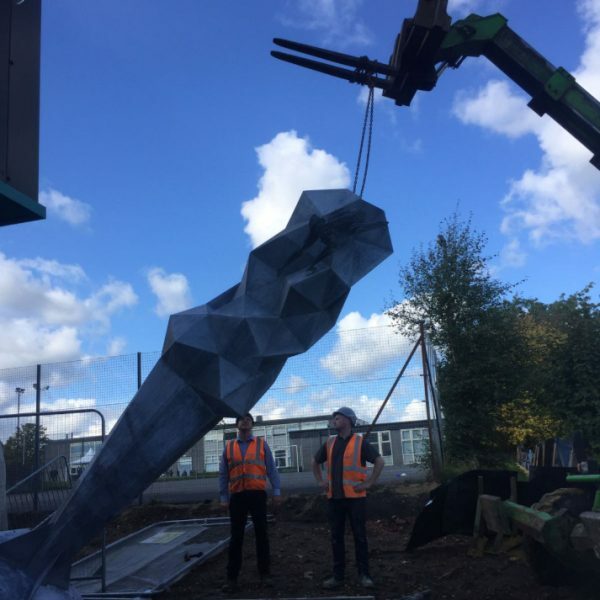 The piece is 5 meters by 1.5 meters, weighs 750kg, is named “What’s Next”, and when finished and installed, this piece was opened by Steve Cram. 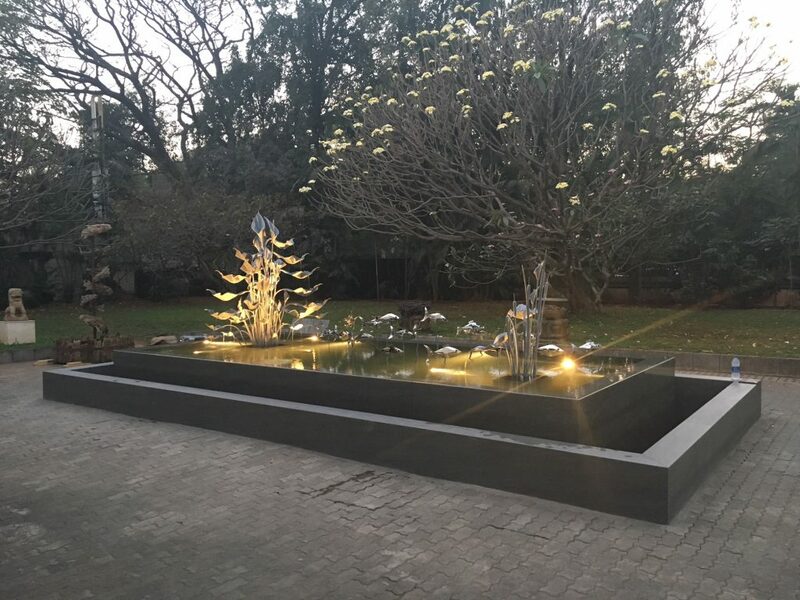 This commission was to design and build a large Water Sculpture to go at the front entrance of a corporate pharmaceutical company, PSV International. 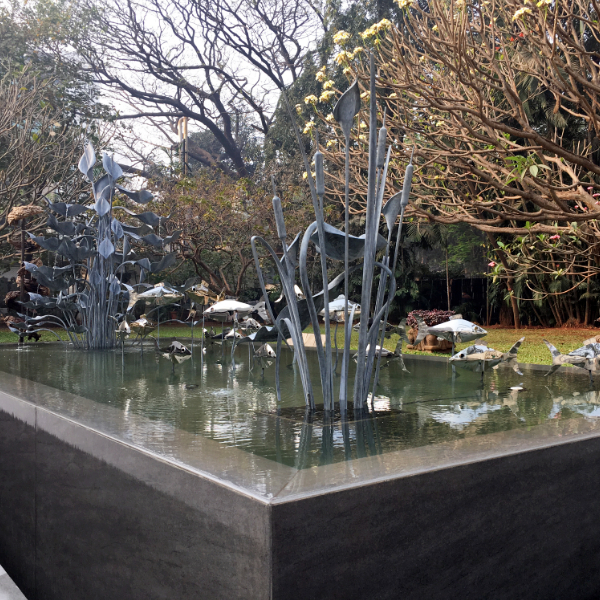 I flew out to oversee the installation of the 2.5 by 1.5 meter, 300kg sculpture which was named “The Calm and the Chaos”. 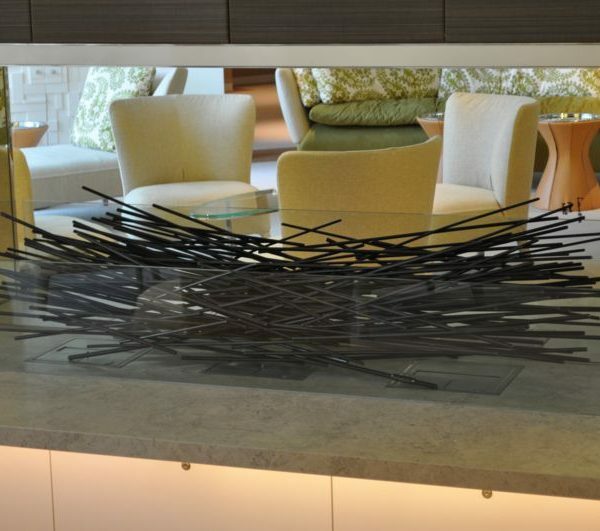 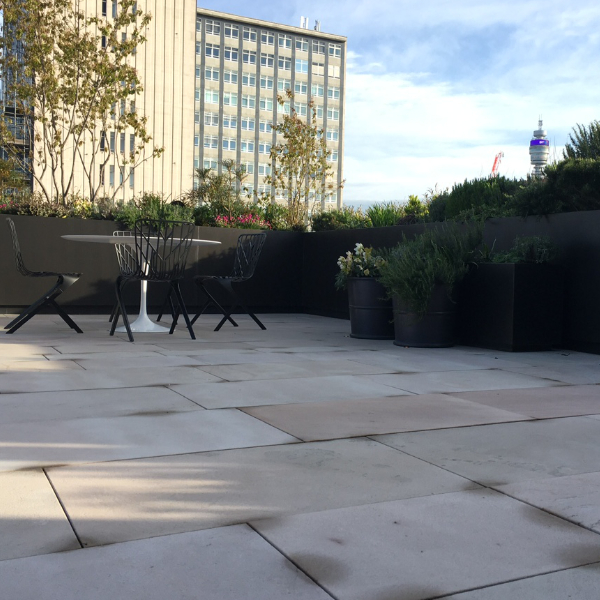 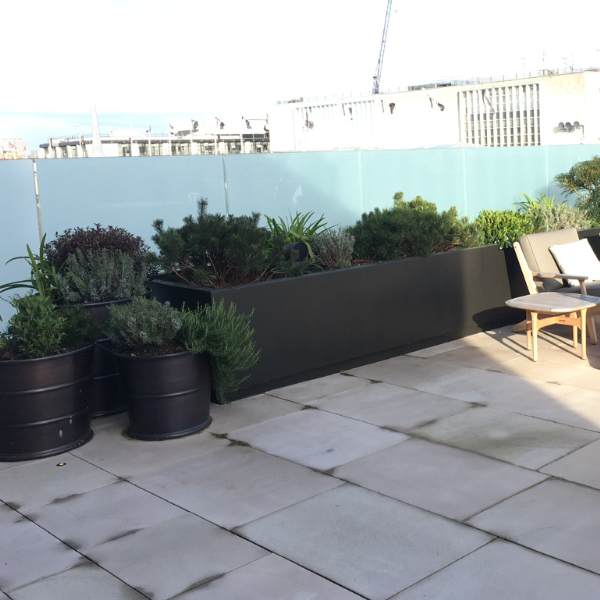 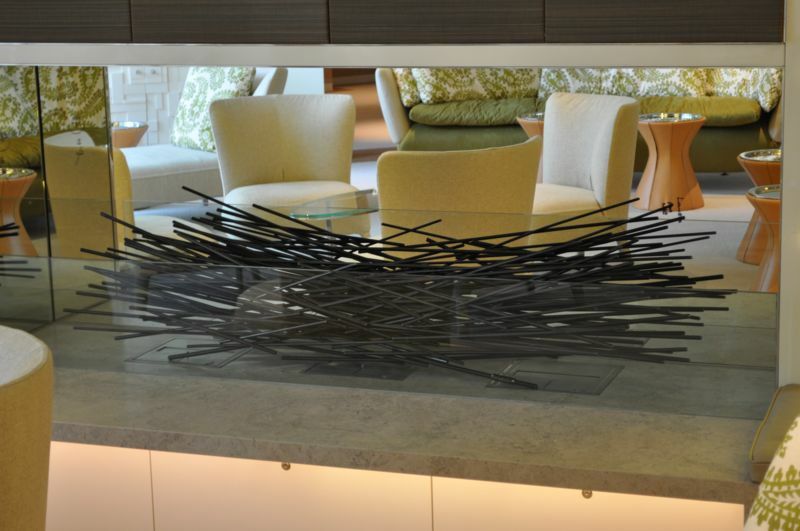 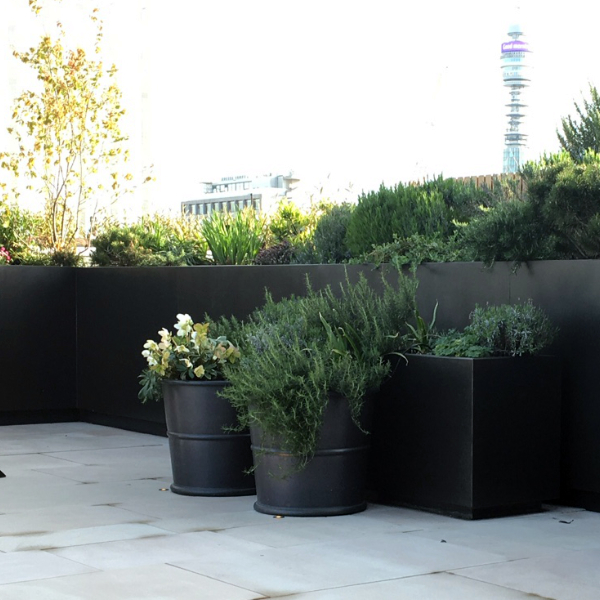 The commission was to produce copper structures for a roof garden overlooking Regents Street. 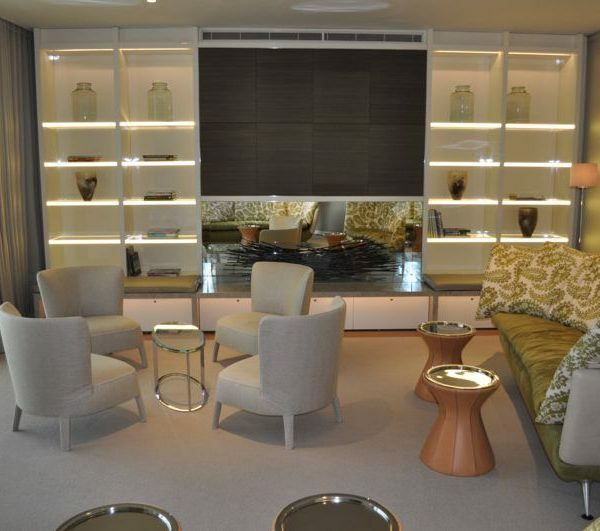 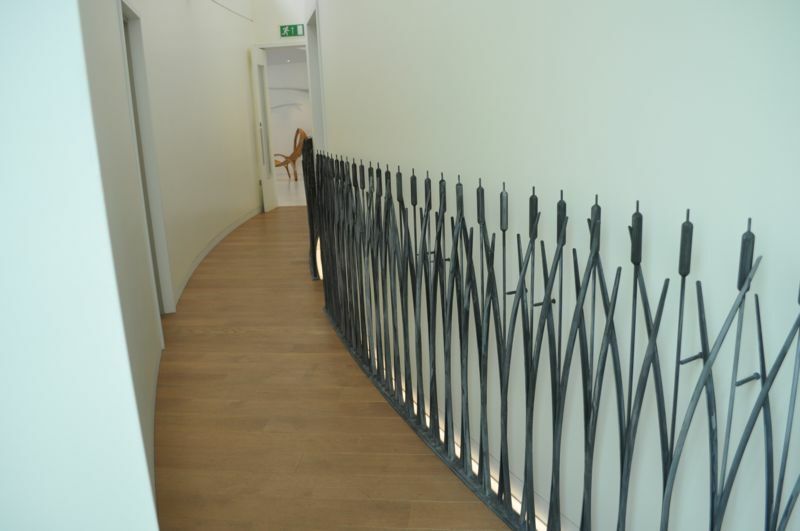 We used 40 square meters of copper for this project. 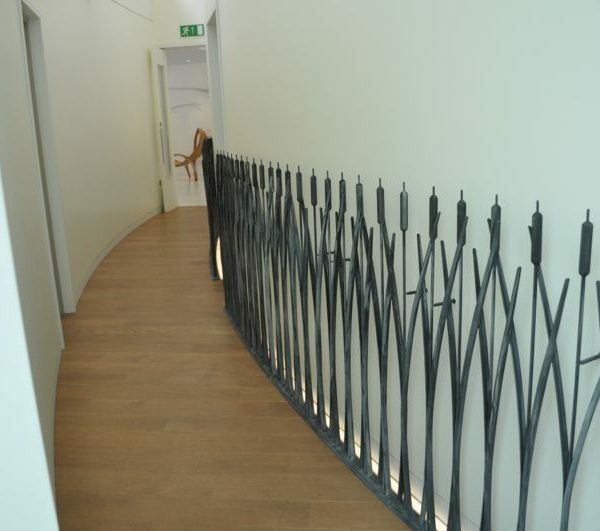 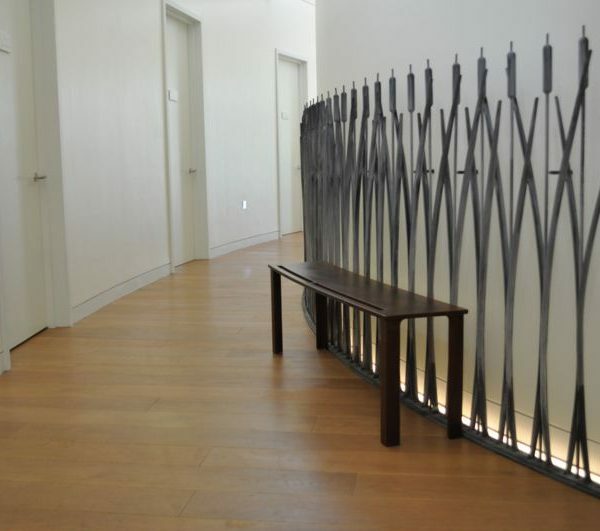 The commission was to design and produce a stainless steel Nightingale wall sculpture, which was mounted on the wall of the entrance to the Academy. 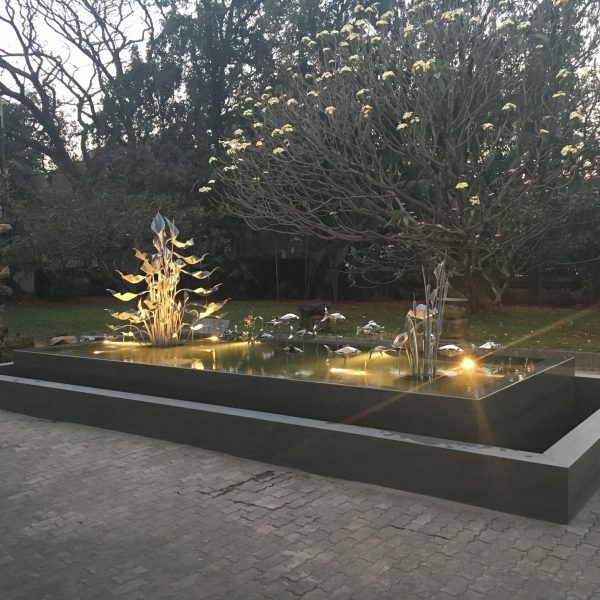 The finished sculpture was 3.4 by 2.5 meters. 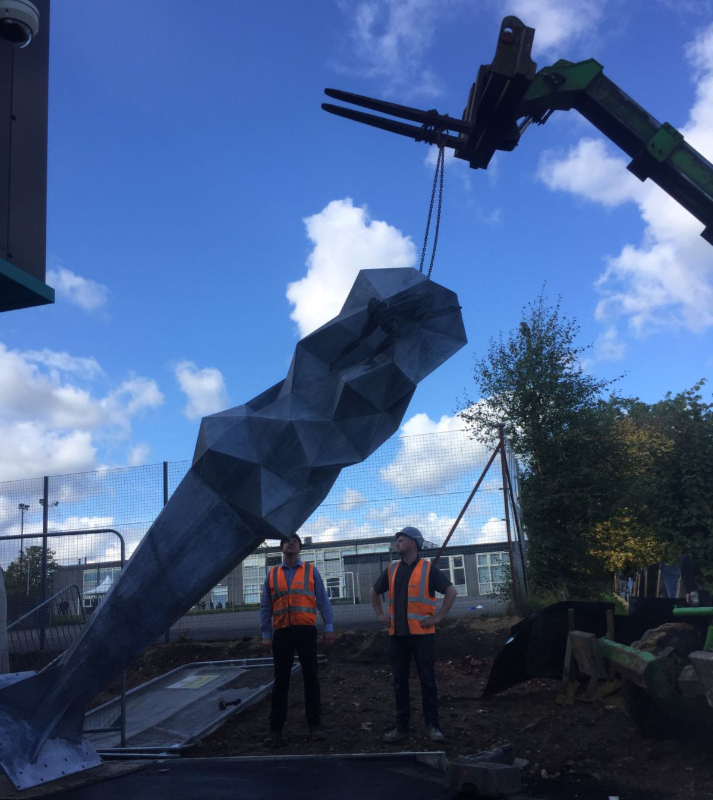 This project is ongoing and we are currently producing a freestanding Nightingale to stand on a plinth at the front entrance of the building. 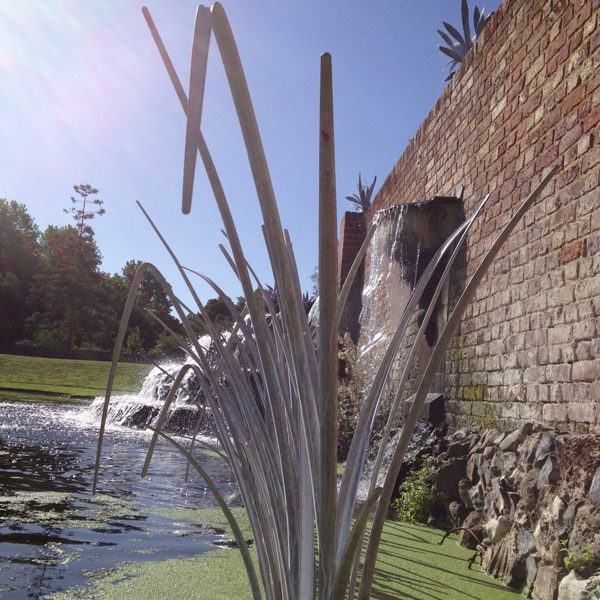 5 meter Bulrush and Reeds with bronze dragonfly sculpture to stand in the lake, set in the grounds of this world famous restaurant owned by Raymond Blanc. 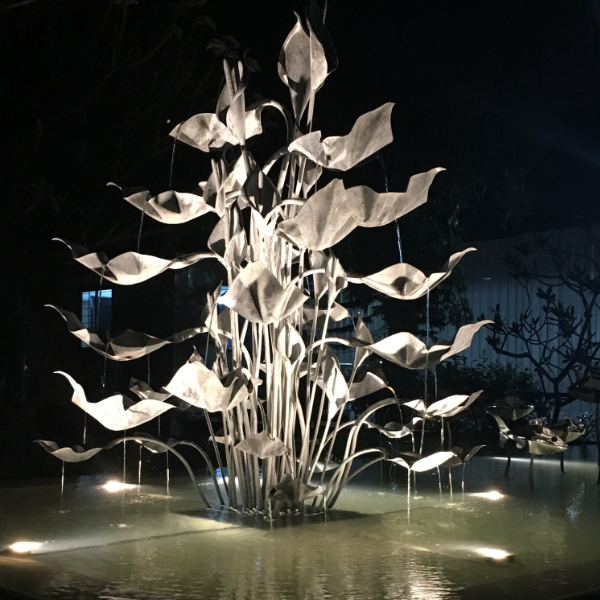 To design and produce a series of sculptures to enhance this botanical masterpiece, this will include a large Arum Lily Water Sculpture to go on the main lawn in front of the restaurant. 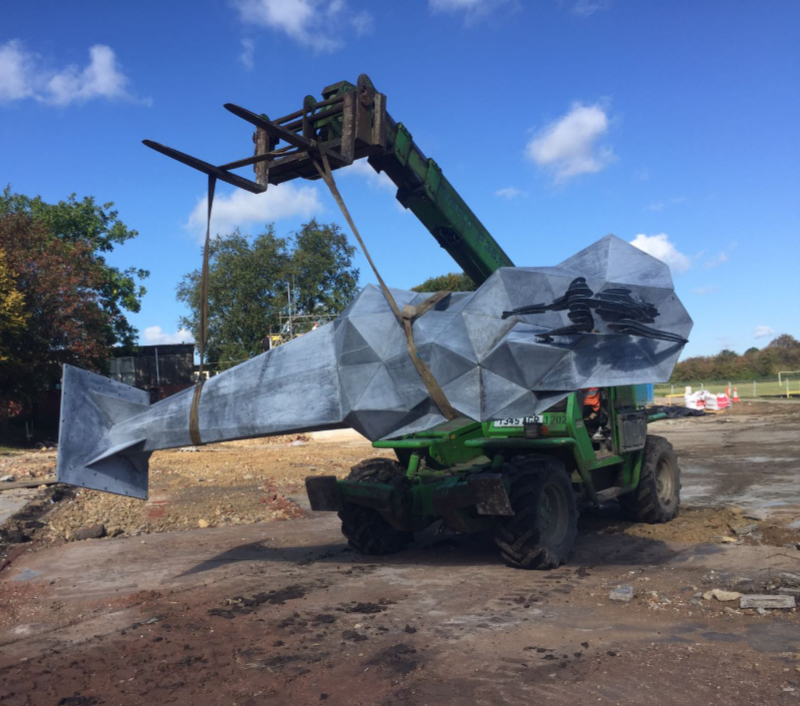 We are working on the final designs for an 8.5 meter wide sculpture for a roundabout near Simbridge Wetland Centre on the A38 in Gloucestershire as part of the Sir Peter Scott Wild Wetland Trust. 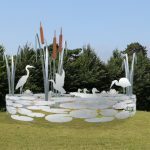 This sculpture will combine all aspects of the wetlands including its wild birds and otters.